It all started with the appearance of Ironman Slatco Sterzenbach at ENERGETIX’s annual kick-off meeting for 2013 in Willingen: his exciting presentation impressed ENERGETIX distributors, Andreas Räwel and Andreas Kasulke, so much so that both decided to stop smoking there and then! But that wasn’t enough: they also changed their diets and set their sights on taking part in the half-marathon in Mainz (FROGBLOG reported). That was at the beginning of 2013 and both started training for the first time in their lives on 26 January with the clearly defined goal of taking part in a half-marathon. 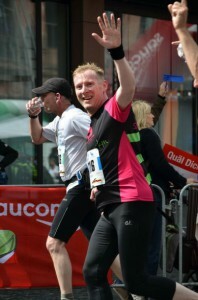 And also of making a contribution to the funds generated for the Hugo Tempelman Foundation (link). They trained three to five times a week to achieve these goals. 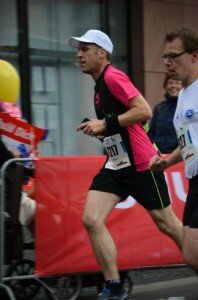 In this way, both were not only able to run the half-marathon but also to finish in under two hours! 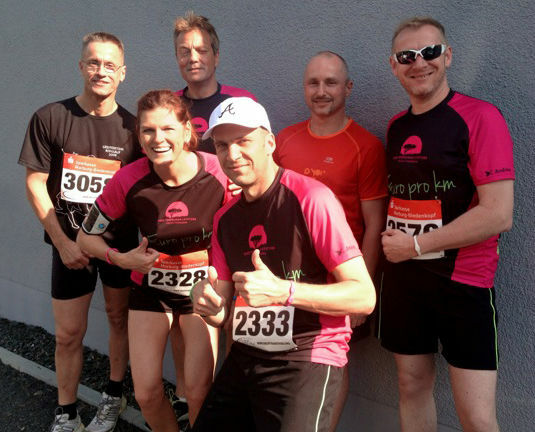 “Now we’ve caught the bug completely and we have continued to run and train!” Both continue to enthusiastically run half-marathons … always outfitted with ENERGETIX’s running shirt that also has the Hugo Tempelman Foundation’s name on it. We say thanks and keep up the good work! 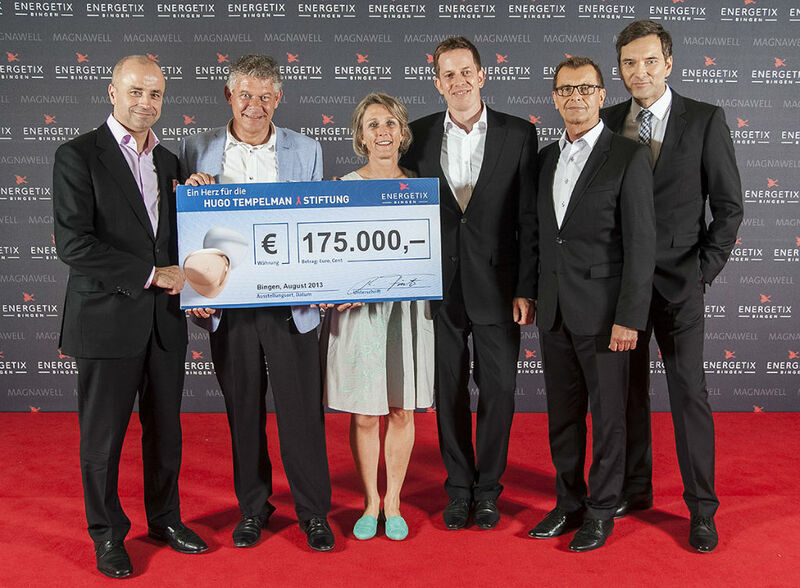 The setting was the Catalogue Launch in Berlin on 31 August: the management board presented Hugo and Liesje Tempelman with a donation cheque for the foundation they initiated – a further 175,000 euros collected for the good cause! Our sincere thanks to all the ENERGETIX distributors whose unbridled commitment has been responsible for making the cheque so big once again! The ENERGETIX YouTube-Kanal contains a lot of entertaining and informative videos from and about ENERGETIX Bingen and their numbers are increasing all the time. 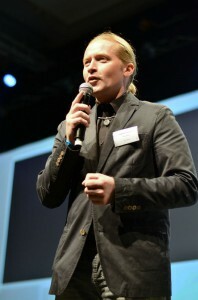 You will find plenty of things worth seeing on the ENERGETIX YouTube channel – from Ronan Keating’s video message, the ENERGETIX image film, making-of-the-catalogue films and reports on the company’s charity activities to the “history trailer“ on the firm’s tenth anniversary and videos of the catalogue launches. It’s worth checking them out! We have also just created three new practical trailers for you. The informative and instructive videos “New bookings”, “The business idea” and “Online training” provide beginners with helpful tips and insights and experienced distributors are sure to profit from the experiences and suggestions, too. The presentation of the new magnetic jewellery collection and the “Power of Nature” catalogue in Berlin on 31 August was accompanied by a gigantic stage show. A week after the most important ENERGETIX event of the year, the overwhelming impressions of the occasion still resonate in the minds of those who took part. If you always want to keep up to date on ENERGETIX matters, in addition to FROGBLOG you now have the possibility of “liking” the official ENERGETIX Facebook page – as over 2000 users have done since the Launch. 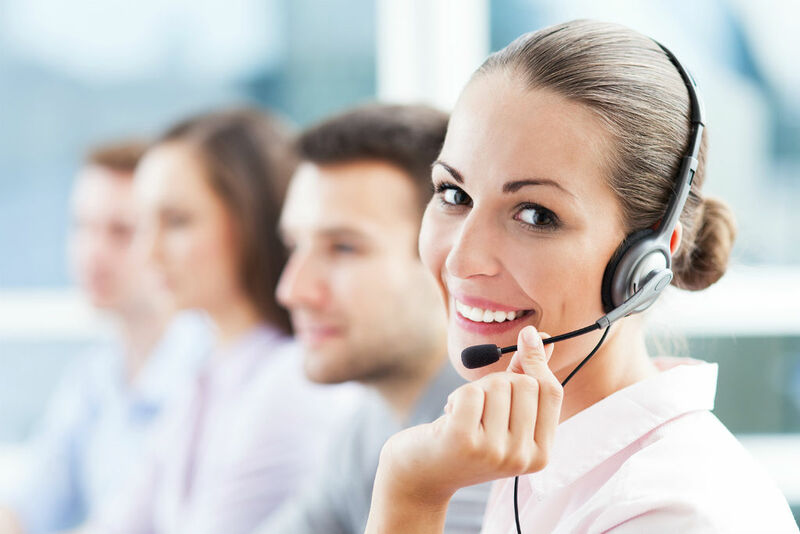 ENERGETIX Customer Support is regularly contacted by distributors throughout the world on all manner of subjects. To help distributors get off to a good start to the new season, Customer Support will be open – until further notice – from 8 am onwards. You will be able to get through to the Customer Support team from 8 am to 6 pm each day. 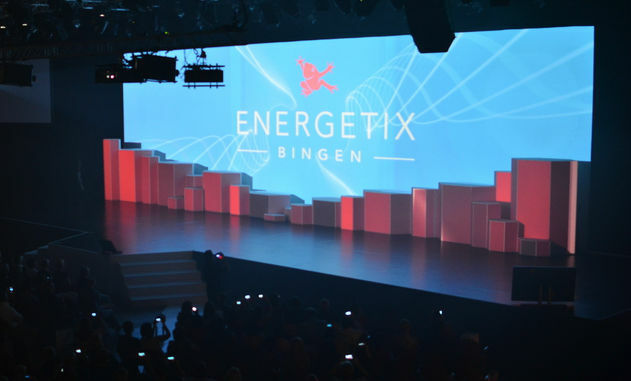 We are now offering the chance to view the highlights of this year’s ENERGETIX Catalogue Launch in Berlin to everyone who was unable to be there at the mega event. And of course this video retrospective also offers a beautiful memory of a great event to everyone who attended the Launch. The new ENERGETIX Facebook page also gives all the users an opportunity to see the video. So take a look at the official ENERGETIX Facebook page! We hope you enjoy it. Head of IT and Management Board member Alexander Link announced the good news at the ENERGETIX Catalogue Launch in Berlin on Saturday, 31 August: ENERGETIX is launching its own Facebook page! ENERGETIX is expanding its social media activities – in addition to FROGBLOG – and is now officially and actively joining the Facebook social network, which enjoys worldwide popularity. 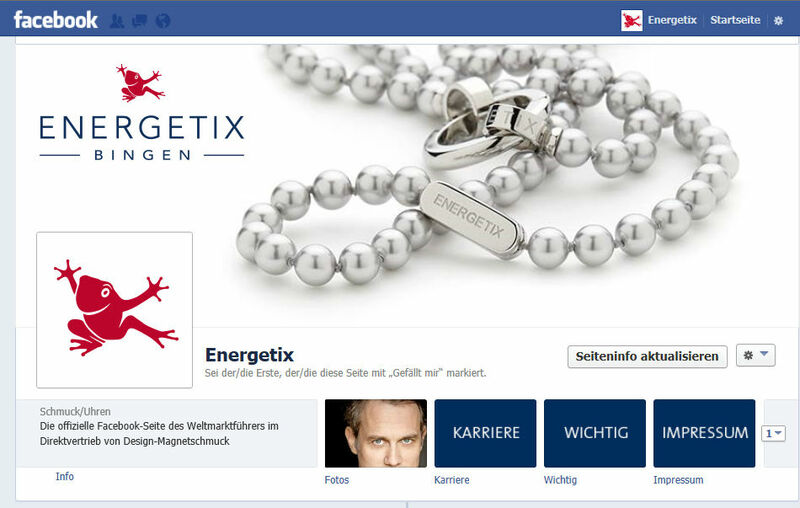 Whether they be ENERGETIX distributors or ANYONE interested in magnetic jewellery, Facebook users can now receive up-to-the minute news, announcements, product presentations and noteworthy photos from ENERGETIX. Of course the ENERGETIX Facebook page also offers users the opportunity to “like”, to comment on and to share entries. Netiquette: Please respect the guidelines for acceptable behaviour on the Internet, which you can find on the ENERGETIX Facebook page under the heading “IMPORTANT”. Click here to access ENERGETIX Facebook-Page and become a fan of the company.